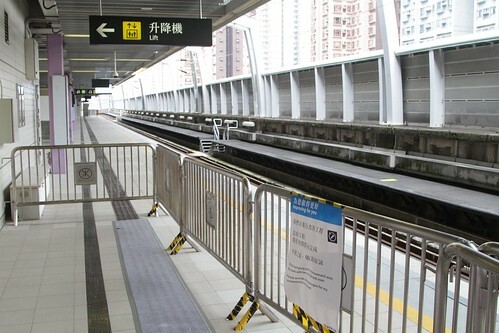 Since the Ma On Shan line opened in December 2004 it has operated as a branch line in the New Territories of Hong Kong, connecting to the rest of the network at Tai Wai station. 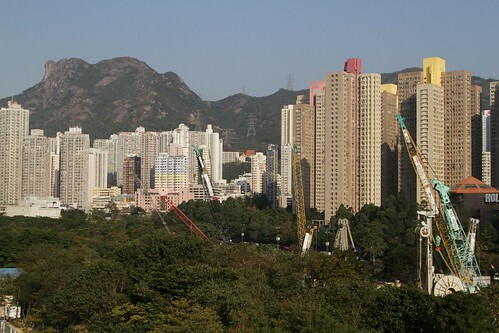 But nothing stays still in Hong Kong and this line is no exception, with major changes underway as the railway is extended deep into Kowloon as part of a major expansion program. As originally conceived by the KCR Corporation, the Ma On Shan line was a branch line of the main East Rail Line. 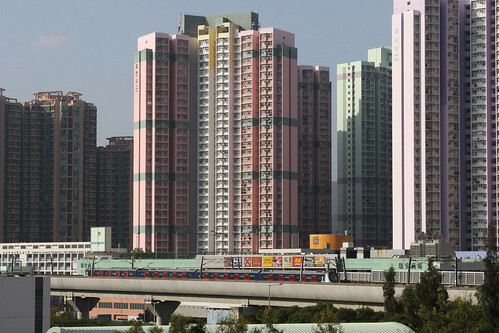 Four car trains spent their days travelling back and forth along the line, with nine stations serving the previously underserved eastern half of the Sha Tin district. But the end game was always something far bigger – to extend the line south into the Kowloon, passing through the densely populated districts of Kowloon City, and join up with the West Rail Line, forming a second rail link between the western New Territories and the ‘Hong Kong’ that tourists know, called the ‘East West Corridor‘. 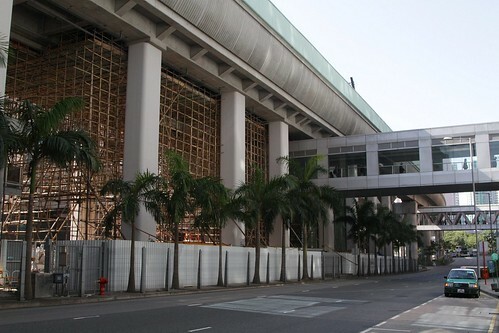 This proposal was given the go ahead in 2012, in what is now known as the ‘Sha Tin to Central Link‘. A longer railway carries more passengers, so as well as extending the line, bigger trains are required. New 8-car long trains from CRRC Changchun have been delivered. But longer trains need longer platforms. Thankfully this work didn’t require the demolition of any existing structures. With the existing platforms being extended into space that was left for future expansion. 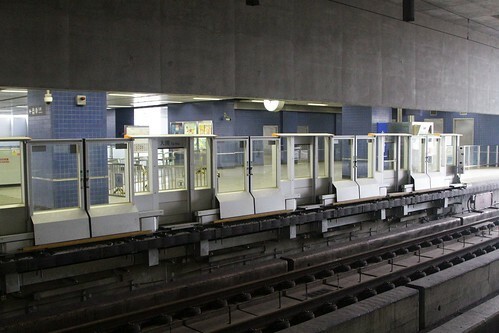 At the same time automatic platform gates have been retrofitted to stations. 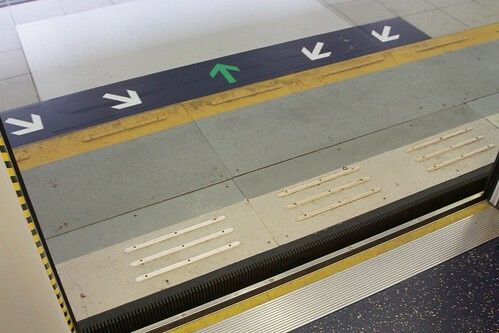 This required modifications to the edge of each platform. As well as temporary signage while the existing fleet of four car long trains were still running. 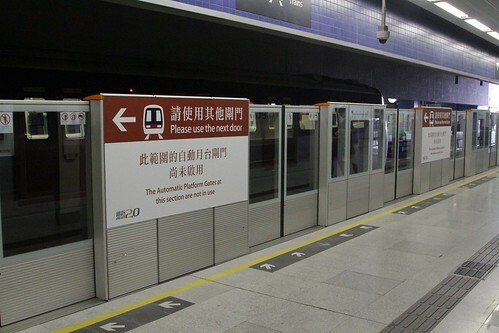 Work upgrading the Ma On Shan Line commenced in 2014 and was completed in 2016, with the first 8-car train running in January 2017, and the last 4-car train running in 2017. The expected completion date of the new ‘East West Corridor‘ is 2019. 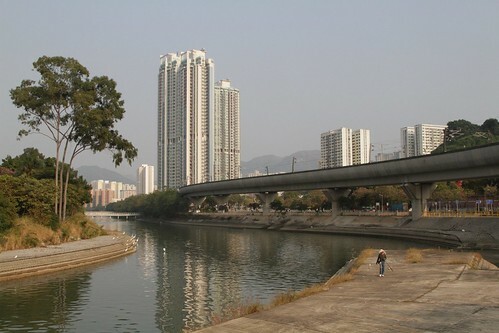 This entry was posted in Everyday Life and tagged Hong Kong, KCR, Kowloon Canton Railway, Ma On Shan, Mass Transit Railway, MTR, New Territories, rail operations, railway, retrofitting infrastructure, Sha Tin to Central Link. Bookmark the permalink.